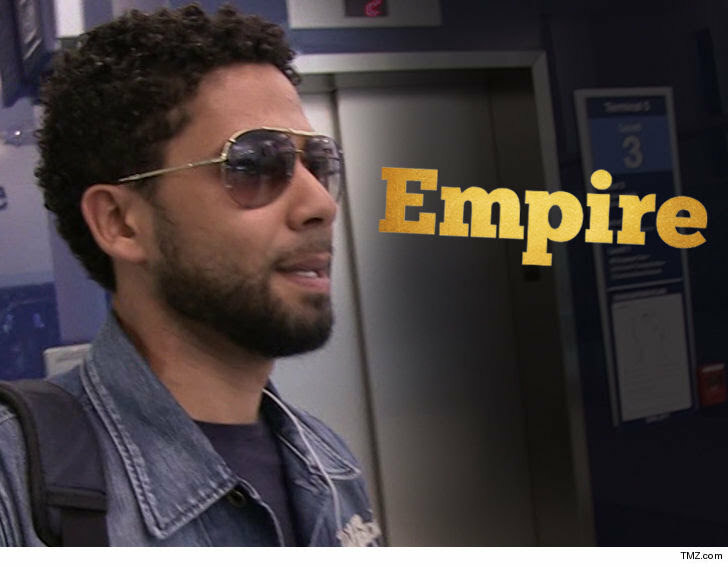 Jussie Smollett's "Empire" screen time is getting slashed in the wake of a growing sentiment that he staged the so-called "attack." Production sources tell TMZ ... Jussie was supposed to have 9 scenes and a big musical number in the second to the last episode -- which is being shot now -- but, 5 of his scenes have been cut, and his musical number has been 86'd. As for the remaining 4 scenes ... we're told he's no longer the focus. The scene features an ensemble, meaning he's flanked by a number of cast members. With his duties pared down, Jussie will be spending way less time on set. Instead of working every day this week, we're told Jussie's working Friday and possibly Thursday, and he won't be rehearsing. I know he does that ... when I met him I wanted to tell him about that while we were taking a picture together .. Yes I did and I’m not ashame it of ... he loves the attention when we is out and about and lives mingling with people..